From the Antarctic to the South Pacific, to right here in Boston, people will celebrate Earth Day with The Nature Conservancy’s second annual Picnic for the Planet. The annual event celebrates the role that nature plays in daily life, by reminding people to stop and take a few minutes to enjoy being outside and sharing a meal with their families and friends. “From the fish in our rivers and seas, to the forests that keep our air and our drinking water clean, to the vegetables we buy at the local farmers’ market; nature touches our lives every day,” said Alison Bowden, of the Nature Conservancy in Massachusetts. 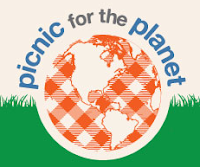 Sunday, April 22, 11 a.m. to 5 p.m.
Take the Planet Out to Lunch: The Nature Conservancy will attempt to break a Guinness World Record for the largest global picnic from noon to 3 pm, to the soundtrack of live music courtesy of Radio 92.9. Learn more about nature in Massachusetts, sample great local and natural foods, participate in a nature treasure hunt with your family and enter to win free tickets to Earthfest in May and other door prizes. 0 Response to "Earth Day Picnic For the Planet at Frog Pond - 4/22"